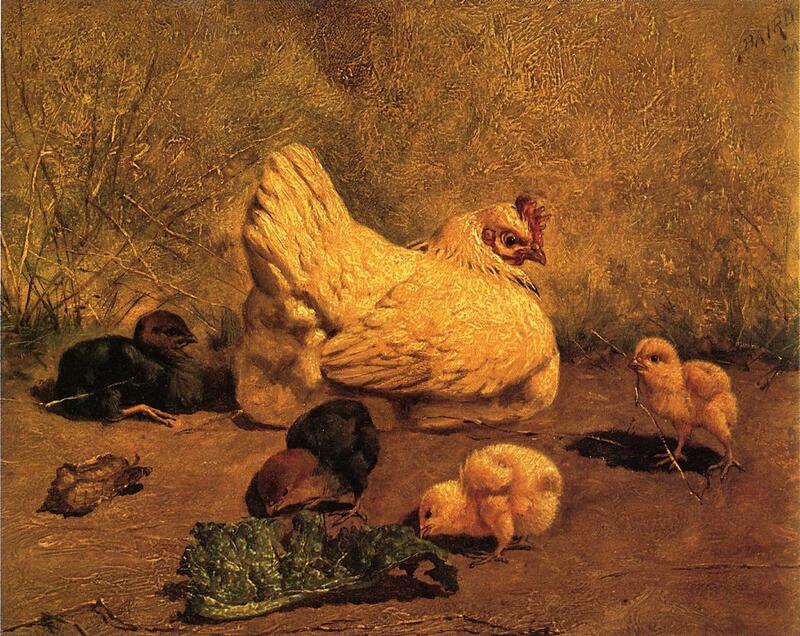 Hen and Chicks [date unknown], oil on panel by American painter William Baptiste Baird (1846–1899?). Courtesy of the The Athenaeum. Update: Earlier this month Story of the Week presented “The Egg,” Sherwood Anderson’s famous tale about a man defeated first by the failure of the family’s chicken farm and then by the challenge posed by a single egg. You can now listen to best-selling novelist Rick Moody reading “The Egg” in streaming audio. And it’s free! Visit www.loa.org/sherwood to enjoy this audio selection, along with nine other Sherwood Anderson stories read by some of today’s leading story writers. “You want to hear about our hen,” said the practical poultryman, “the original and only—the hen that diverted us from the fancy, and laid the foundation for our present profitable egg business.” . . . If you don't see the full selection below, click here (PDF) or click here (Google Docs) to read it—free!